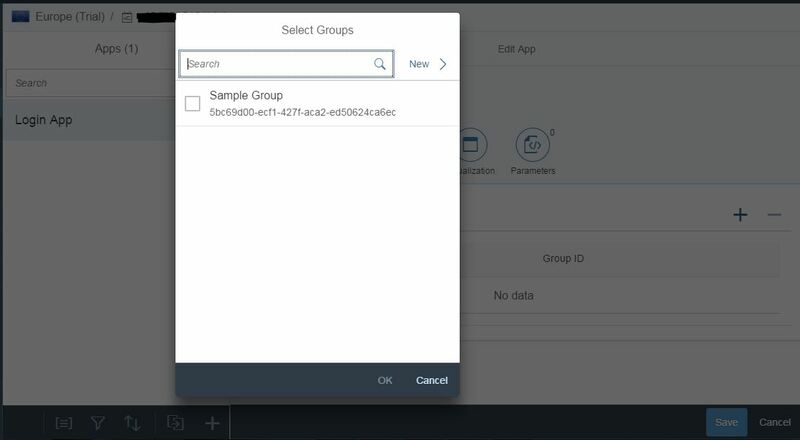 This document contains the basic step by step process to configure the Launchpad for SAP Cloud Platform and to add sapui5 application in the Launchpad. 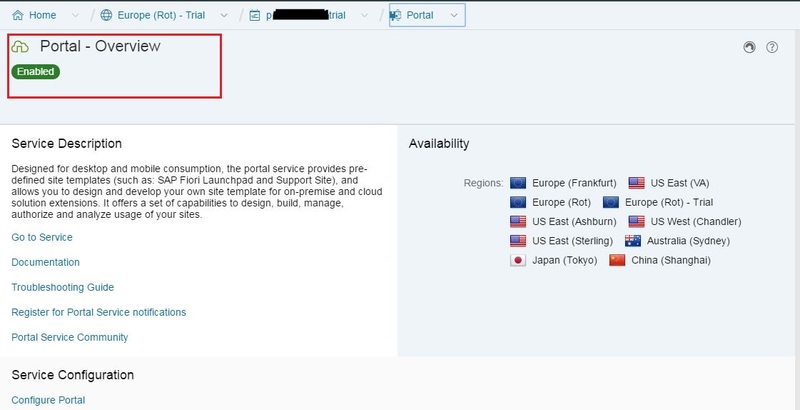 In new browser window SAP Cloud Platform Portal will open. A pop-up will open to Create site. Enter Site Name, template and click on Create. 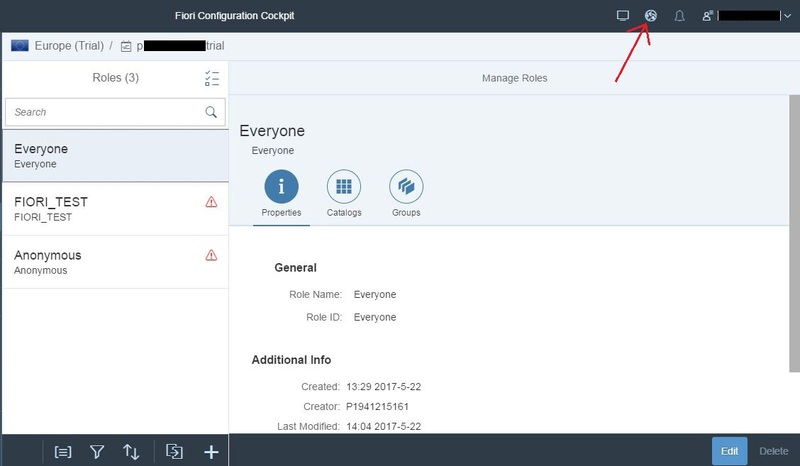 Fiori Configuration Cockpit will open in new browser window. From the left side navigation panel click on Apps. 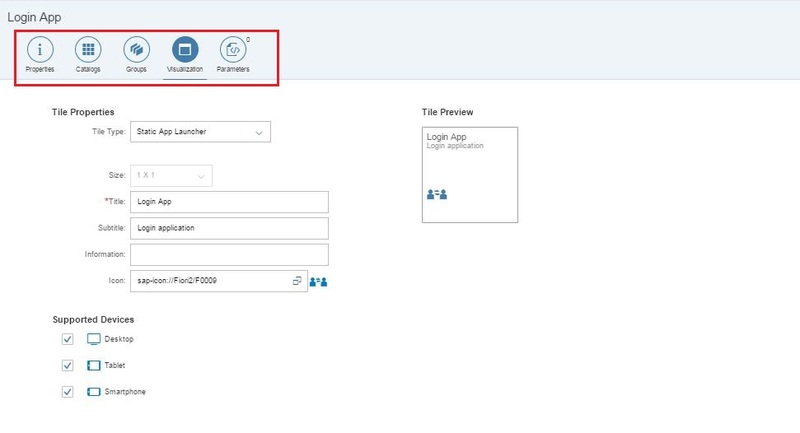 Click on + icon from the footer to create the new application in SAP Fiori Launchpad. Fill all the mandatory field. App Resources: Click on F4 and select the application to add in Launchpad. App Title: Give meaningful app title. 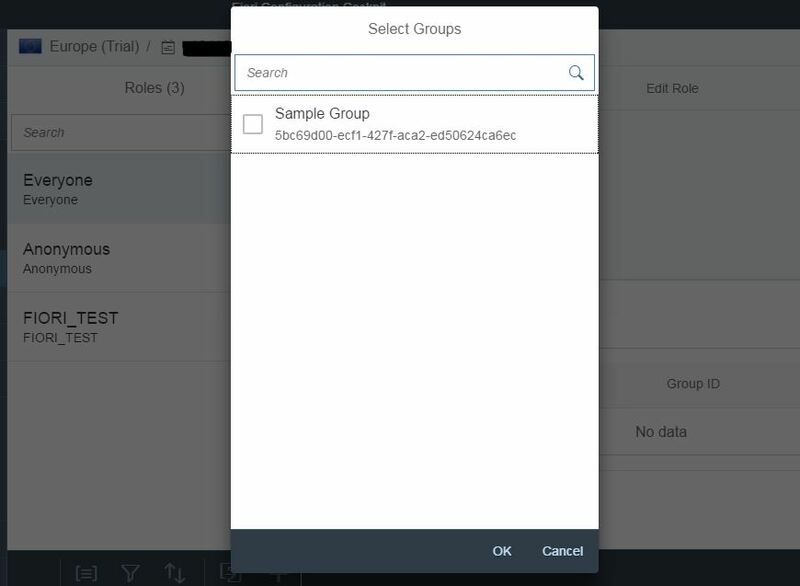 Other fields will automatically get field as app is selected from App resources. Click on Catalogs icon tab bar to add app in catalog. Click on Edit and add the application in Sample Catalog and save. Click on Groups icon tab bar to add catalog in group. Click on Edit and add the application in Sample Group and save. Click on Visualization icon to add title property and supported device setting. Click on Roles from the left side navigation panel to set the roles to Groups. 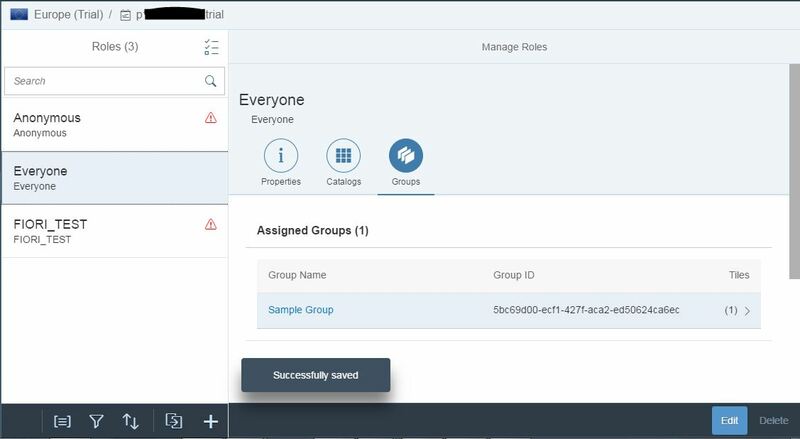 Assign Sample Group to Everyone Role. Click on Publish site icon (top right side corner) to publish the changes. Click on Setting from left side navigation. Status: Published (All the changes are pushed). 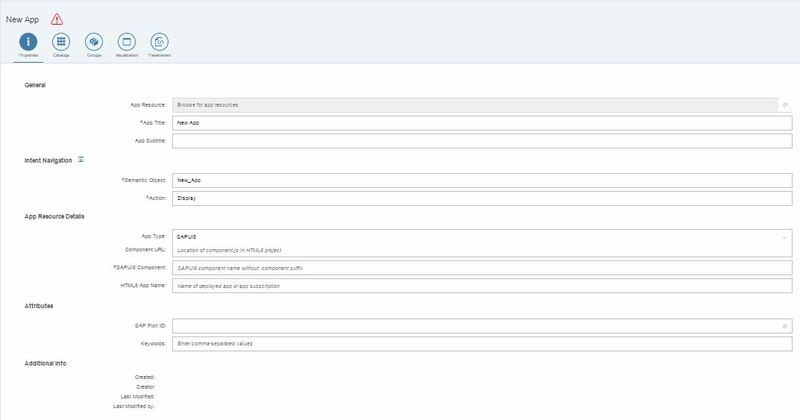 Click on the URL hyperlink to open Fiori Launchpad.